About us - Excel Electronics Inc.
Excel Electronics has a certified ISO 9001:2015 Quality Management System. In addition, we’ve earned the prestigious IPC J-STD-001 and IPC-A-610 Qualified Manufacturers Listing. Excel Electronics is ready to partner with you through all phases of the circuit board development process, as you create new and innovative products. Our team has three centuries of combined electronics experience in the printed circuit board assembly process. We pride ourselves on personalized service and can be at your door for a face-to-face meeting, from our convenient Midwest US location. 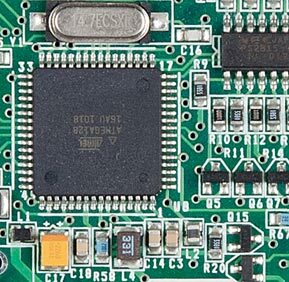 Our goal is to be your preferred full-service circuit board contract supplier from the initial concept through the design phase to the completion of your custom printed circuit board products. If you need a quick turn prototype, PCB assembly or complete box build, fill out our Request for Quote (RFQ) form and leave the design, testing, and assembly to us! Excel Electronics was established to offer a wide range of fully integrated electronics manufacturing services (EMS) to the world’s leading original equipment manufacturers (OEMs) of electronic products. We offer three centuries of combined experience in circuit design, mechanical assembly, testing and manufacturing. We’ve served a diverse and ever expanding range of industries including: the Audio, Automotive, Broadcast, Communication, Consumer Electronics, Commercial Appliance, Emergency Vehicle, Environmental and Industrial Controls, Marine, Medical, Mobility Products and Para Transit Bus industries. Our ongoing investment in technology and the continual education of our people provides our customers with competitive outsourcing advantages with an innovative edge. We focus on superior customer service by providing on time delivery of top quality products. Excel Electronics strives to be a recognized leader and industry partner in the custom design, assembly, testing and manufacturing of electronic products. We emphasize quality and empower all of our valued employees to pursue excellence in all things we do, with growth and profitability as the measurement of success. Quality is a process that is a result of planning, teamwork and commitment to excellence by everyone throughout the organization. Quality is a process that is a result of planning, teamwork and commitment to excellence by everyone at Excel Electronics. © Copyright 2016 Excel Electronics, Inc.